Finally I’ve been able to free up some time to make the second design for the travel poster series! 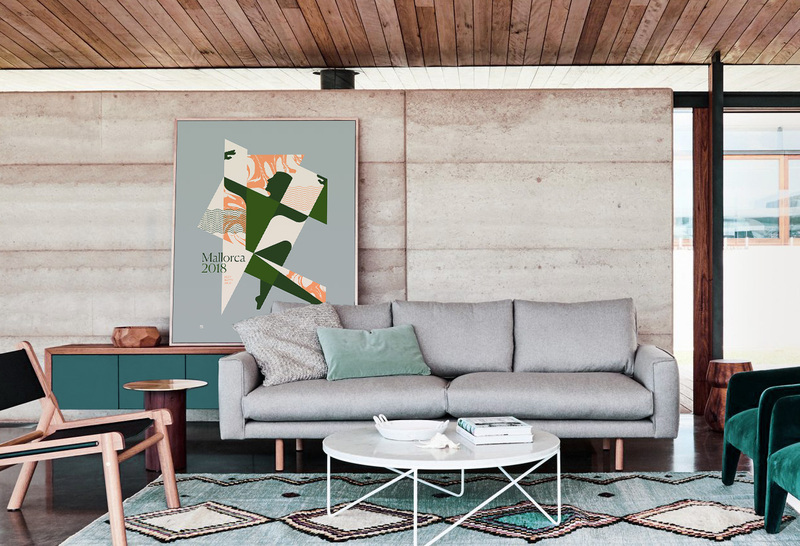 This poster is about a holiday where we’ve done nothing but lay on the beach in Mallorca for days on end… Just kidding! But we did go to Mallorca. For the people who don’t know me; I’m a big climbing fanatic that can often be found in the nearest climbing gym. To me, hanging from the wall in the gym for hours straight is pure pleasure, but I find it even more fun to practice my favourite sport outdoors. 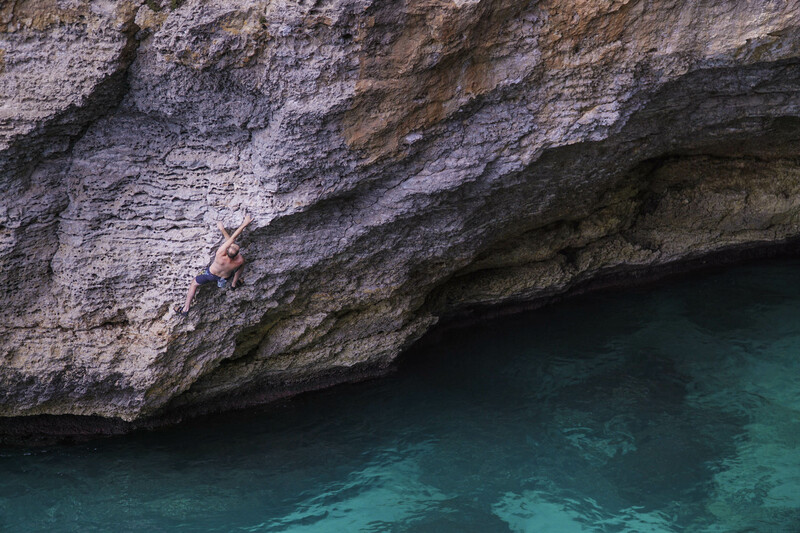 That’s why my climbing buddy Filip and myself flew all the way to Mallorca to try out something new: Deep water solo. Deep water what-now? This is a variant from the regular climbing where everything revolves around water. You’re not secured by ropes or a crash pad so when you fall, you inevitably end up in the water. Mallorca is thé perfect place to do this; the cliffs along the coastline are rough and sharp, making them the perfect grips (but also injuring my hands). Filip (on the right) and Finca’s host, chilling out after a rough day on the cliffs. One of the most fun routes we’ve climbed. As you can see I’m all wet. It took me several attempts to get to the top. 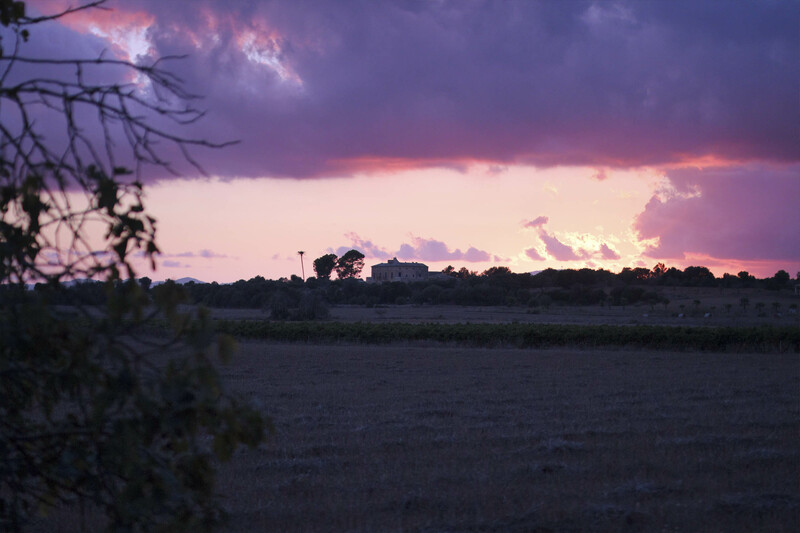 Every evening we were rewarded with the amazing view of the sunset we had from the roof of the Finca. 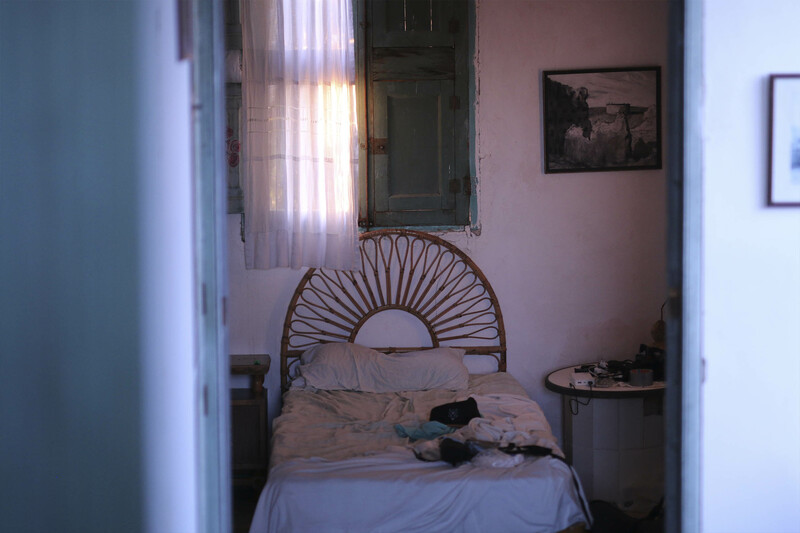 This is wat our place looked like from the inside; super basic without electricity, yet very cozy. 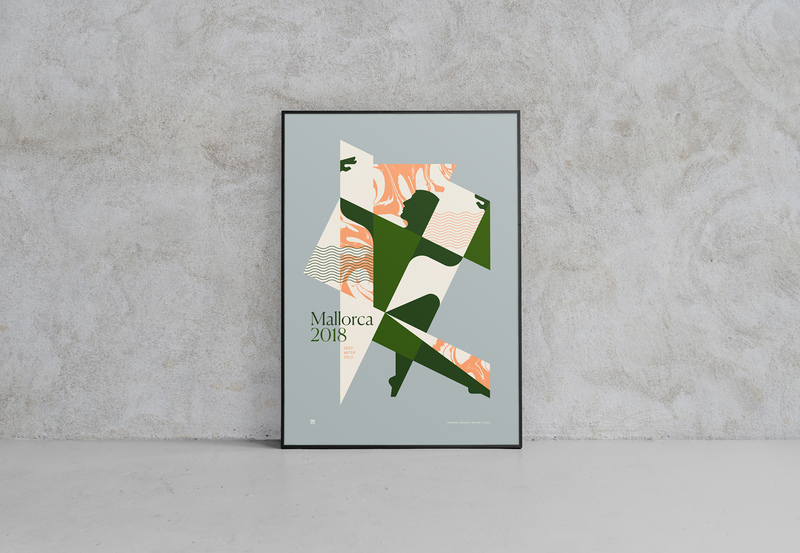 The Mallorca poster is for sale on the webshop in A3 format (297 mm x 420mm) and is pressed on 300g/m² paper. They are limited up until 50 units and are numbered and signed. The poster is sent by post in a cardboard envelope. If you would like another format you can pass it on to me and I will give you the adjusted price. Thanks for the translation Sophie.